East Coast FPV- Open Day – Huge Success ! 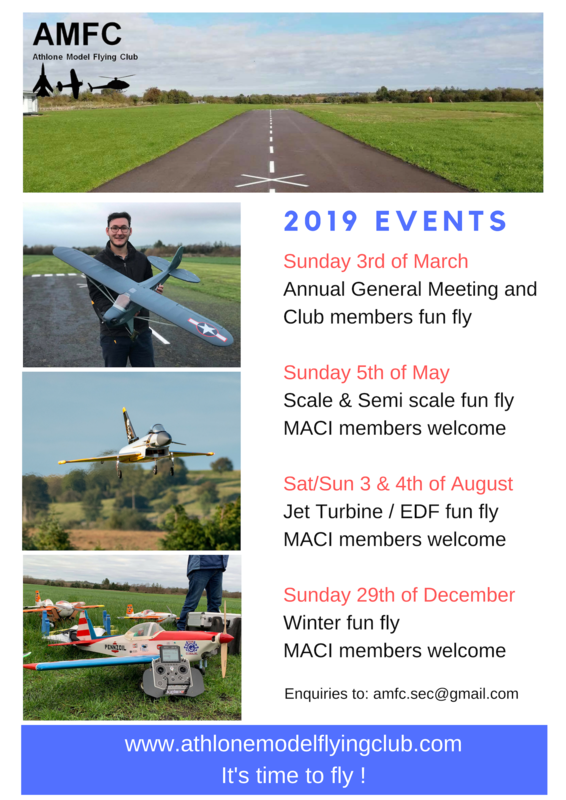 Our friends at AMFC are holding some events in 2019. We look forward to meeting you all at AMFC throughout the year. Copyright MACI © 2019 Model Aeronautics Council of Ireland. Registered in Ireland. No 115075. All Rights Reserved. You cannot re-transmit, print or photocopy the materials on this site for re-distribution in any medium without written permission. Maintained by webmaster@maci.ie and hosted in Ireland. E&OE.